Gas-phase chromatography studies of nihonium (Nh, \(Z=113\)) were carried out at the one-atom-at-a-time level. For the production of nihonium, the heavy-ion-induced nuclear fusion reaction of 48Ca with 243Am was used. This leads to isotopes 284,285Nh, as the direct descendants of the \(\alpha\)-decaying precursors 288,289Mc. 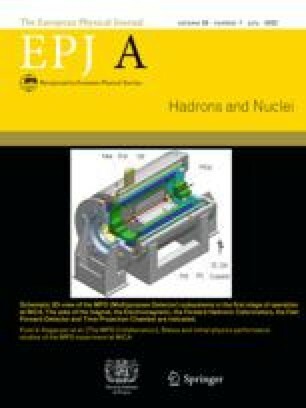 Combining the Dubna Gas-Filled Recoil Separator with gas-phase chromatographic separation, the experiment was sensitive to elemental nihonium and its adsorption behavior on Teflon, theoretically predicted by modern relativistic density functional theory. The non-observation of any decays of Nh after the chemical separation indicates a larger than expected retention of elemental Nh on a Teflon surface. In memoriam Prof. Walter Greiner (1935-2016) --our good friend and always active supporter of superheavy element research.